Proudly we produced Al-Madina Al-Munawwara Award, an annual award granted to distinguished persons in different fields of studies. 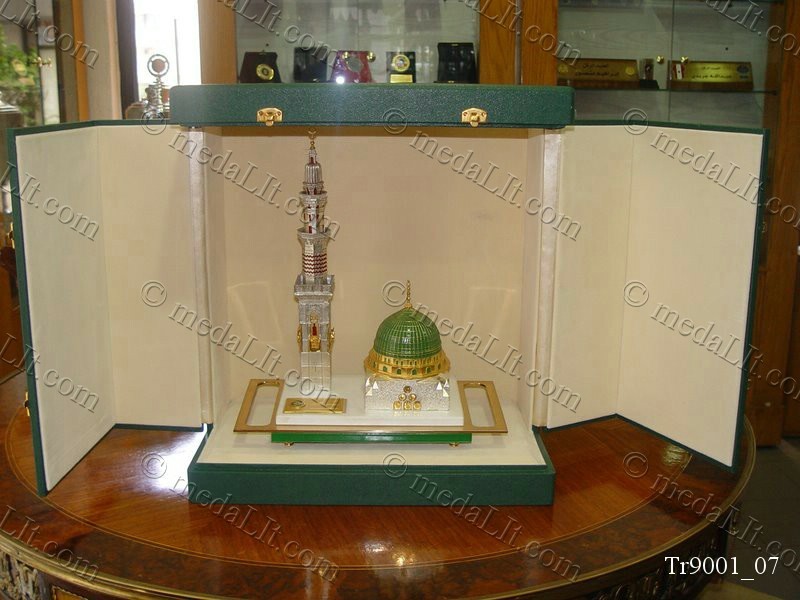 This trophy is a model of Al-Madina Al-Munawwara Mosque. It is Die Cast from brass and composed of 75 pieces, featuring a 24K gold-plated dome and miniature simulations of windows and doors in addition to silver-plated body parts. The award is mounted on a marble plate and personalized with a gold plated plate. It is presented in a luxury box. This product is not for sale, it is showcased here as a sample.